How long does a home inspection take? This may be a question you ask when going through your real estate negotiations. Real estate transactions are time-consuming, so managing every minute is very important. Whether purchasing or selling a home, the home inspection is vital to an honest, open transaction that will leave you feeling at peace with your decision. How long out of your schedule should you block for a thorough home inspection? Should every home be treated the same? What about the “extra” inspections that could be done such as well, termite and radon (just to name a few), and how long will they take? Will you as the homeowner/buyer need to be there for the entire inspection or just part of it? First of all, whether you are buying or selling a house, for a pre-listing inspection, it is a good idea to be present at the inspection. You may be surprised at what the inspection shows. It is best to visualize problems or concerns that are found instead of reading them only on a report. The inspector will be happy to go through all the findings at the end of the inspection. No two homes will be the same. Just like people, no two are exactly alike. Generally, a home inspection could last anywhere from 2.5 to 3.5 hours. Here are a couple of guidelines to keep in mind when thinking of inspection time length. Homes that are older than 40 years. “Older” homes sometimes have unique features that require extra inspection time. Homes with crawl spaces. Inspectors that take a “peek” into a crawl space do not really inspect it. 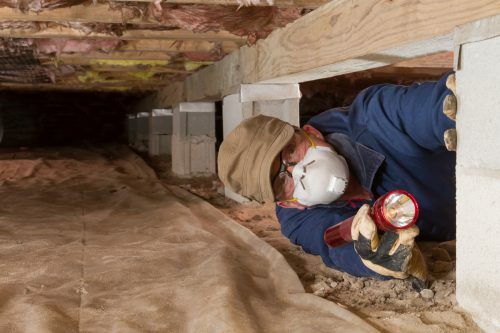 A true inspection will require the inspector to crawl inside the crawl space to closely examine the soundness of structural components and other important parts of the house system. Other inspections that you may request include radon, mold, termite, sewer, and well. These actually will not make the inspection take any longer. One phone call with Lucent Home Inspections and the inspector will set up any additional services saving you the hassle of calling. That way all additional inspectors can be scheduled and give you the peace of mind that all services will be performed in a timely manner. © 2019 Lucent Home Inspections, LLC. All Rights Reserved.